ZF Aftermarket brand, Sachs, is offering visitors to its social media pages an all-expenses paid trip to the Berlin E-Prix. ZF Aftermarket brand, Sachs, has announced a new social media sweepstake which will see winners win a trip to a forthcoming Formula E race. 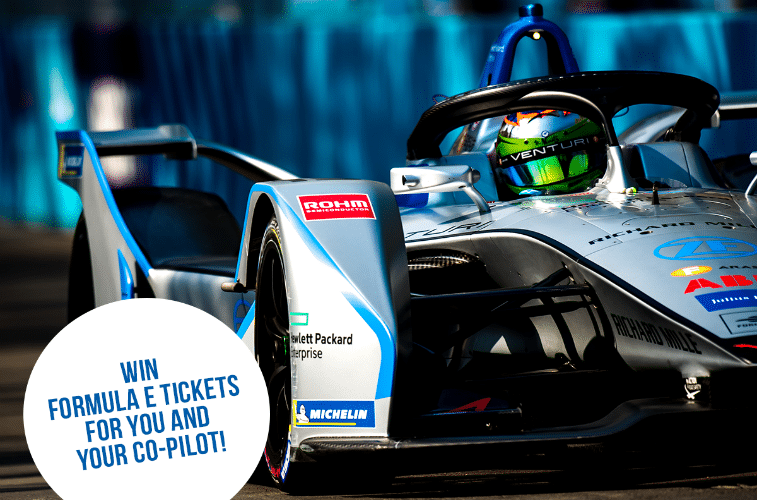 Visitors to the SACHSofficial page on Facebook or Instagram need to follow the instructions to be in with a chance of winning an all-expenses paid trip to the 2019 Berlin E-Prix on 25 May. Formula E is a class of motorsport that uses only electric-powered cars. The inaugural championship started in Beijing in September 2014. Steadily growing in popularity, the series has raced in 19 cities across five continents and is currently in its fifth season. “Innovative technology, pioneering manufacturing techniques and advanced testing processes are cornerstones of the Sachs brand – from motorsport through to the aftermarket,” explained Ben Smart, global marketing director. “As a true leader in the field of advancing mobility, ZF Aftermarket combines all of the above with relevant technical know-how and a thorough understanding of how to communicate with its market in an electrical and digital age. The social media sweepstake is open from 5 April to 4 May, 2019. To be in with a chance of winning, visitors to ZF Aftermarket’s SACHSoriginal page on Facebook or Instagram simply need to follow the instructions in the sweepstake post. The prize includes: flights or train tickets to Berlin, a two night stay at a leading hotel and tickets to the 2019 Berlin E-Prix, inclusive of full Boss|Emotion Club hospitality, which will be held on 25 May at the former airport in Berlin-Tempelhof. A supporter of the Formula E championship since the beginning, ZF supplies the Monaco-based Venturi team with shock absorbers for its cars, and for season four developed a new transmission system. For the fifth and current season the cars competing in Formula E have been upgraded. In terms of power, this means an increase from 200kW to 250kW (about 335 horsepower) pushing the top speed to about 174 miles per hour; impressive considering Formula E almost exclusively competes on city street circuits. This extra power will help the new cars shave the 0–60 mph time down to 2.7 seconds. In line with this, ZF has said it’s developed an electric drive for the Venturi team which not only offers enhanced efficiency and performance, but also increased durability. This is vital because the drive components of Formula-E race cars have to stand up to 13 races per season with a total of more than 5,000 racing and qualifying kilometres. The teams can only swap the drive components in each car once because any more would result in drastic time penalties. An electric motor and newly developed transmission offer improved performance and efficiency. The use of lightweight materials – a metal alloy in the housing and carbon in the power electronics – ensure maximum weight saving. Furthermore, systems for cooling and lubrication were adapted to realise the weight-saving concept of a high-efficiency transmission ratio. “The drive concept was conceived, developed and tested in a few short months, illustrating ZF’s commitment to meeting the needs of the customer in a rapidly changing world,” said Tobias Hofmann, project manager for the Formula-E drive. To take part in the Formula E sweepstake, simply search for @SACHSofficial on Facebook, or find the brand at @SACHSofficial on Instagram. Find out more about ZF Aftermarket and its products for the independent automotive industry by clicking here.